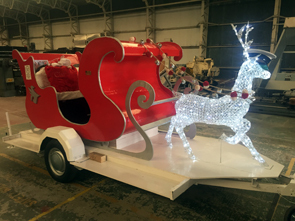 Paddy and Adam from HMS Sultan took our sleigh from left to right what a transformation! What a journey it turned out to be. 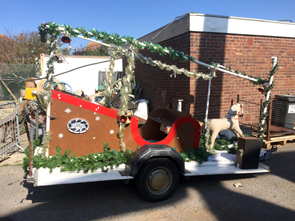 Armed on most day with a skeleton crew, we managed to go out with the sleigh for 18 days continuous and visited schools and organisations up to Christmas Eve. Over £3,600 raised for local worthy causes in cluding the foodbank & homeless charities in 2017. Over £7,000 in 2018! 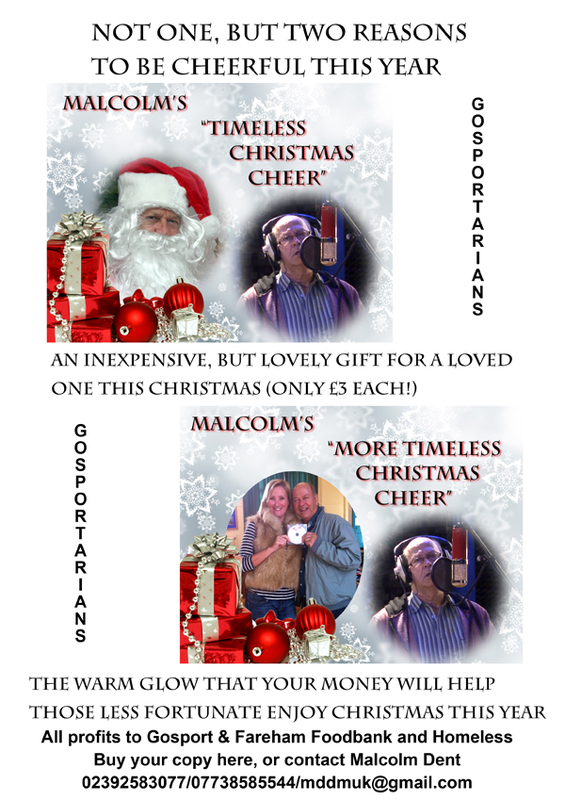 @£3 each (+P/P where applicable) and can be bought online or at various outlets around Gosport.